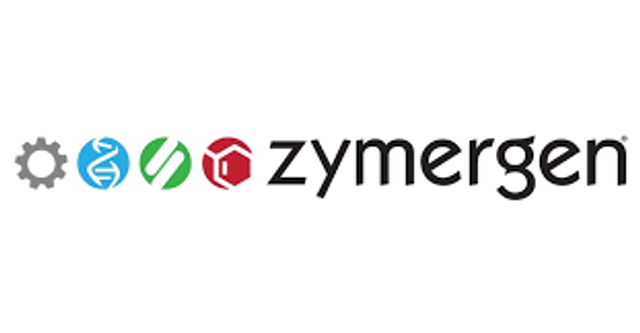 Zymergen, Inc., a technology company focused on leveraging automation and computational tools to engineer microbes, has hired several new senior staff to lead and continue to develop the company’s research, development, and automation functions. These key additions are: David McLoughlin, Ph.D., Vice President of Automation; Jeff Touchman, Ph.D., Vice President of Metabolic Engineering; and Vytas SunSpiral, Director of Advanced Technology. David McLoughlin, Ph.D. joins Zymergen from Eli Lilly, where he worked for 5 years leading and enhancing the company’s discovery automation and research technologies enterprise. Prior to Eli Lilly, McLoughlin served as a Management Consultant at Chaucer Consulting, a management and project consulting firm. Earlier in his career, he spent nearly a decade at Pfizer, where he progressed through roles of increasing responsibility within the company’s discovery research, high throughput screening, and automation technology groups. McLoughlin received his Ph.D. in Biochemistry from University of Kent at Canterbury, his M.B.A. from Open University, and his B.Sc. in Pharmacology from University of Dundee. Jeff Touchman, Ph.D. has over 20 years of experience in the life sciences industry. Prior to joining Zymergen, Touchman worked for 5 years at Monsanto, where he most recently directed the global plant pathology program for the vegetable seeds business. Earlier, he managed one of the company’s core high throughput genotyping centers. Prior to Monsanto, Touchman founded, built, and managed the DNA Sequencing Center at the Translational Genomics Research Institute (TGen). He also served as a Principal Investigator at Arizona State University. Touchman began his career as a Senior Staff Fellow at the NIH, where he directed and co-founded the Intramural Sequencing Center to support the efforts of the Human Genome Project. He holds a Ph.D. in Biomedical Science from the University of Texas and a B.A. in Molecular Biology from the University of California, San Diego. Vytas SunSpiral is a seasoned roboticist who joins Zymergen as Director, Advanced Technology. For the past 7 years, he has served as a Principal Investigator in the Dynamic Tensegrity Robotics Lab at NASA Ames Research Center. Earlier, he was Chief Technology Officer at Apisphere Inc., a startup mobile internet services company. Prior to Apisphere, he was a Project Lead and Principal Investigator in the Robotic Manipulation Research Lab at NASA Ames. He began his career as a Founder and Technical Manager at Mobot, Inc. SunSpiral holds both an M.S. in Computer Science and a B.A. in Symbolic Systems from Stanford University. Founded in 2013 and based in the San Francisco Bay Area, Zymergen is a technology company unlocking the power of biology. The company delivers better economics for biologically-derived products that are used across industries, and brings novel products to market faster. Zymergen is engineering biology predictably, reliably and to a level of performance previously unattainable.